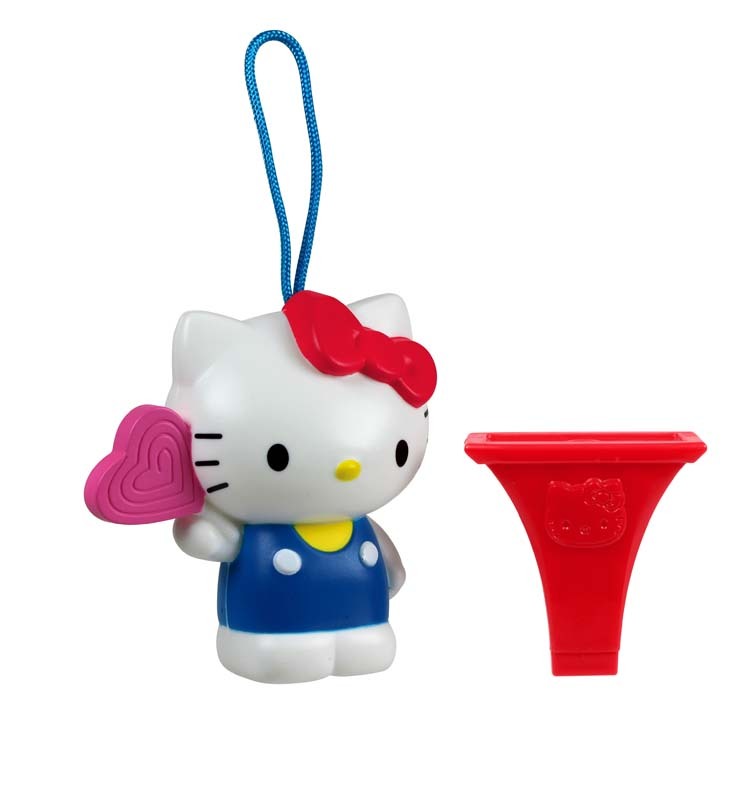 McDonald’s has announced the recall of their Hello Kitty Themed Whistles due to choking concerns. ‘Tis the season, right? This recall will be followed by an onslaught of recalls as the holiday season gets underway. All kinds of manufacturers rushing their product to market just in time for the shopping season to begin, with little to no concern for the dangers being imposed on our children. But I digress…back to the recall at hand. McDonald’s has recalled approximately 2.5 million plastic Hello Kitty figurines. The figurines contain a whistle that can make sounds when inhaling or exhaling through the mouthpiece. McDonald’s has received two reports of children who coughed out pieces of the whistle that they had sucked into their mouths. Consumers can return the whistle to McDonald’s for a free replacement toy, yogurt, or bag of apple slices. While this recall isn’t necessarily linked to a Christmas toy rushed to a store shelf, it is an example of the careless thoughts that go into some of these toys. Children’s toys are one of the most commonly recalled items in the world. Choking hazards seem to be large part of the problem. You would think it wouldn’t take much to realize that little parts can break off causing a choking hazard. Not too hard to take into consideration when designing a toy. Another big recall reason is lead. How many times do we see recalls of kids toys for higher than acceptable lead levels. Really? Higher than acceptable? Sadly, so many recalls involve toys manufactured in China. Nearly 95% of toys marketed and sold in the United States are being produced in low-regulation factories in China. No one is suggesting we should not be getting many of our toys from China. They produce them cheaper than we do. But we really have to make sure our products are safe. I said “we”. The Chinese are not going to hold their own companies feet to the fire to make good products. Moreover, even setting aside the logistical complications, Chinese companies are hard to sue in the United States. They can evade trial because courts usually find that the companies don’t have the requisite contacts with America that would make them amenable to suit in the U.S. Finally, even if they are subject to suit in the U.S., there are rarely assets that can be attached here to satisfy a verdict. The take home message given all of this? We need to better police what comes in this country. With so many different toys on the market, it can be difficult to determine which ones have been recalled and which ones are perfectly safe. To avoid injury and illness we just need to use a little common sense. Consumers can keep up on those products that have already been recalled online here. If you or a loved one has been hurt by a toy or any other product on the market, call us to talk about it at 800-553-8082 or reach out online. We’ll discuss it with you and let you know if you have a case and deserve compensation.